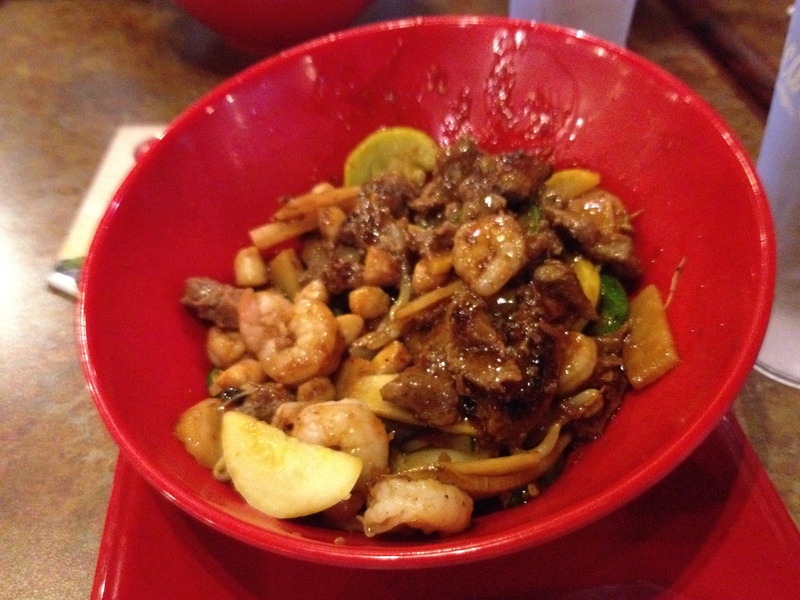 My mom and I went to eat at the Genghis Grill on Lemmon Avenue in Dallas tonight. She had never been there, so we thought it would be a fun place to try together. I really enjoy this place because I am a really picky eater and I get to choose which ingredients I want in my food. Another bonus about this location is that you don’t have to pay for parking. There is a garage underneath the building. The first floor was packed, so we parked on the lower level. The elevator lets out right at the grill. It was odd because we were the only ones in the restaurant when we got there. I think this place is always packed, but maybe with the holidays no one was out. It was nice to have the place to ourselves. 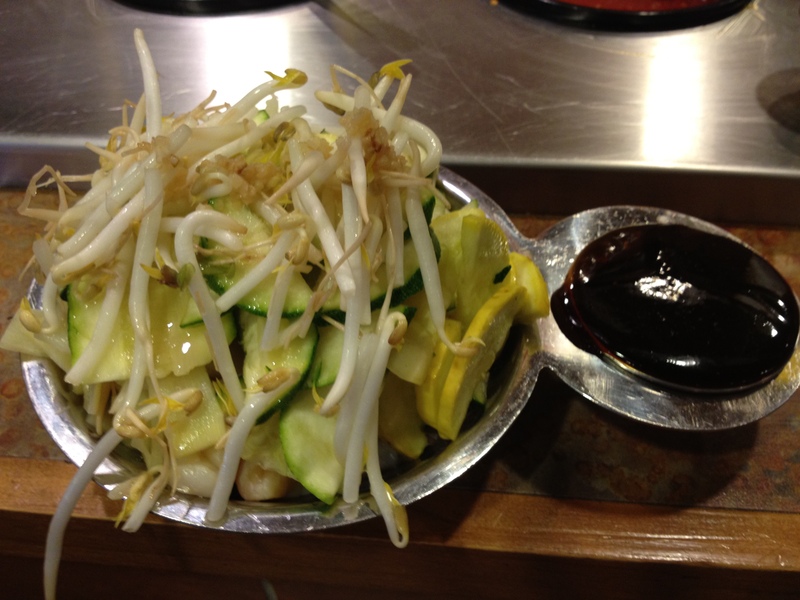 I learned the hard way that you have to heap the vegetables over the bowl. I made sure that my bowl would have had food dropping off the plate if I even attempted to add any more food. I got steak, shrimp, and scallops. 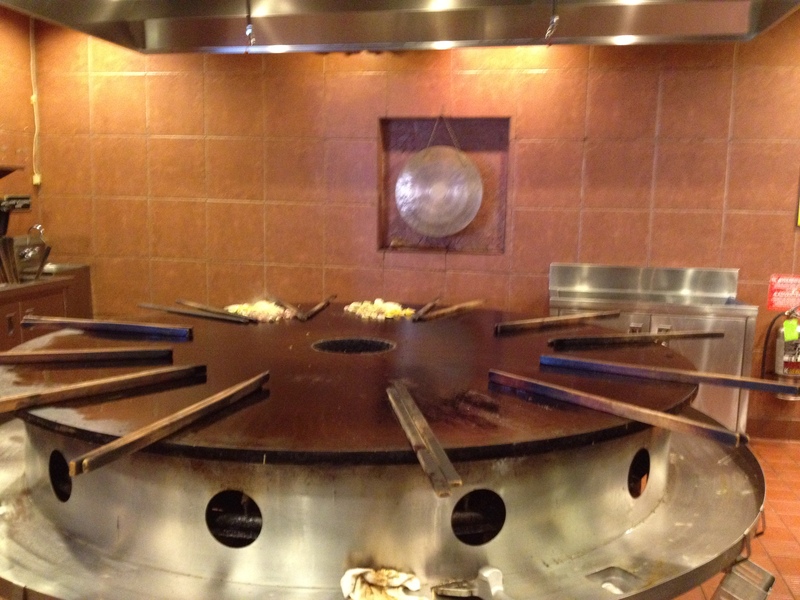 They cook all the food on this big grill. If you wanted to you could watch them cook your food. We just went and sat down and waited. This is what my food looked like once it was cooked. I made two tacos with mine and then took the rest of the food home. I can’t wait to eat the leftovers tomorrow!! 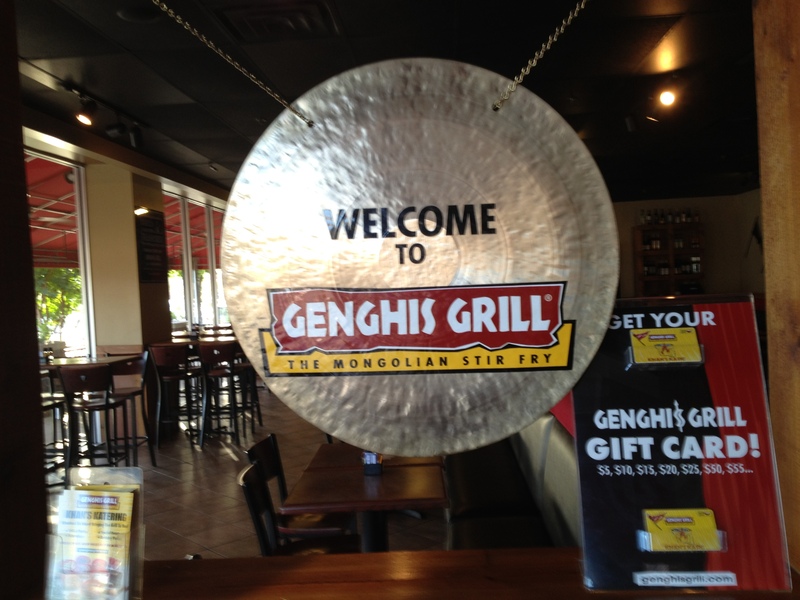 I have never been to Gengis Grill – have to try it out some time.